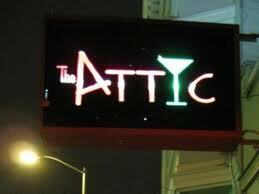 This is a live broadcast from The Attic on 24th street in SF. Hanging out with some of our Sunday Rock Block friends enjoying cocktails. Radio Valencia did a 6 hour live broadcast, so check out the podcasts for Bullwinkle's Whole Wide World and The Malderor & Dr Junk Show. We play an awesome round of Ridiculous Band Names with the bar patrons and had a great time. The entire playlist is devoted to drinking so bottom's up!